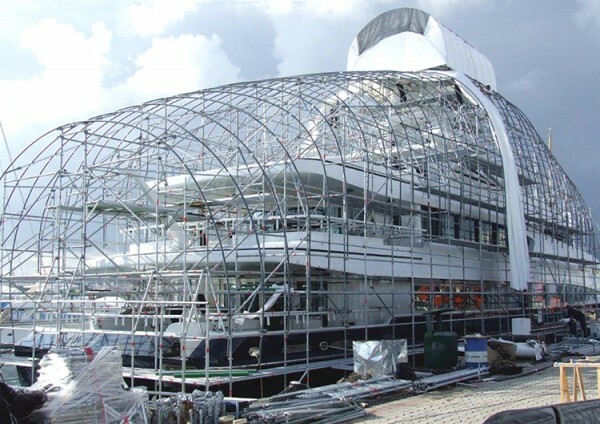 As owners seek to maximise time on the water and reduce downtime, while also keeping to a budget, the planning and organisation of refits and repair is key. As such, the success of any yard period can greatly depend on a good flow of communication between the shipyard and captain. The Superyacht Forum, held from 13 to 16 November in Amsterdam, is set to host a session that will hear both sides of the story and discuss how the industry can improve the yard-captain relationship during a refit period. The session, chaired by Tristan Rowe of Pendennis Shipyard, Captain Maurizio Capitani of M/Y Johanna and Captain Guy Booth of M/Y Aurelia, will ask exactly what captains want from shipyards, and what shipyards want from captains, to achieve optimum efficiency. The candid debate will aim to uncover the route of many issues that arise during the tendering, planning, organisation and execution stages of a refit, and establish what can be done to ensure that both parties have everything they need to fulfil the owners’ wishes. It promises to be a revealing and constructive dialogue – one not to be missed at the four-day event. This particular 'refit and captains' session will take place on Monday 13 November from 15:00 to 16:00. The full programme for The Superyacht Forum is available to view here, and you can register to attend online by clicking here. The event is being held from 13 to 16 November in Amsterdam.